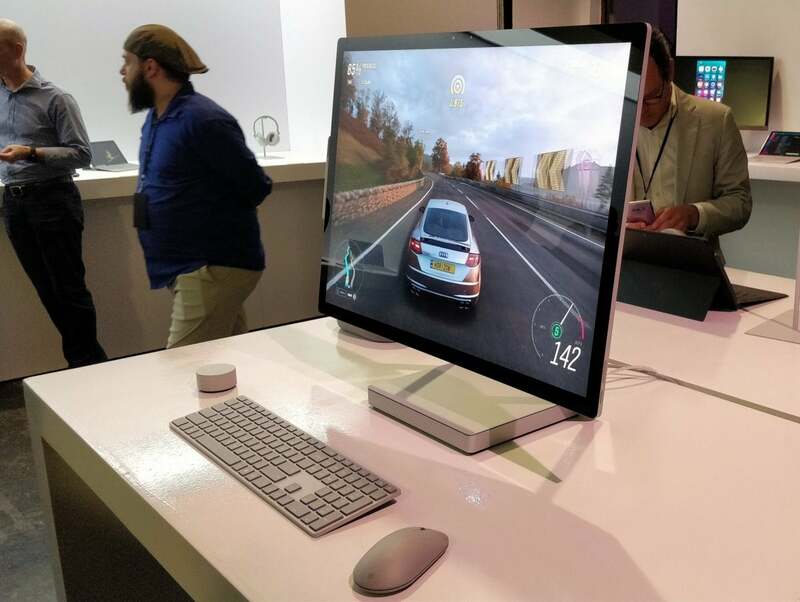 Let’s get this out of the way: We saw Microsoft’s latest Play Anywhere PC/Xbox game, Forza Horizon 4, being played on the Surface Studio 2, and it looked amazing. 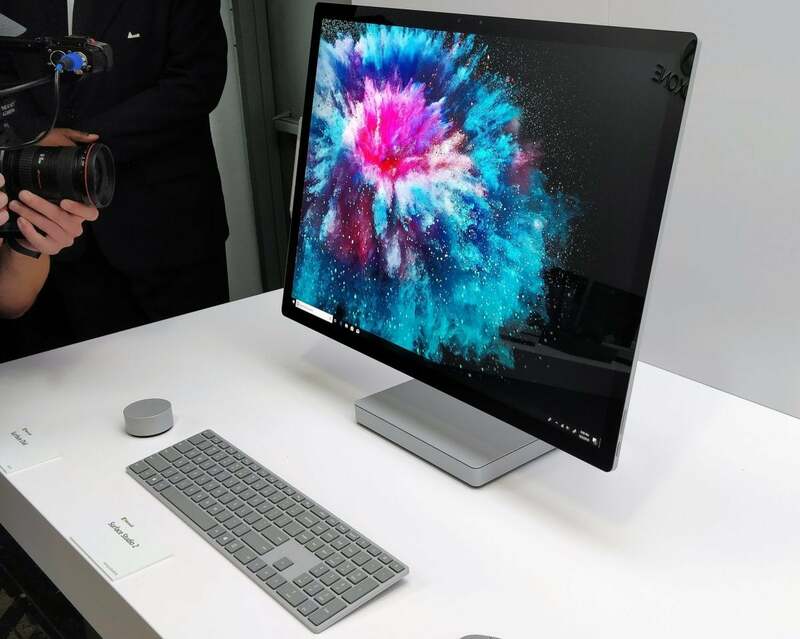 The Surface Studio 2’s 4500×3000 28-inch RealSense display puts out even more light than before—over 500 nits!—and it was like falling into a more vibrant, colorful world. 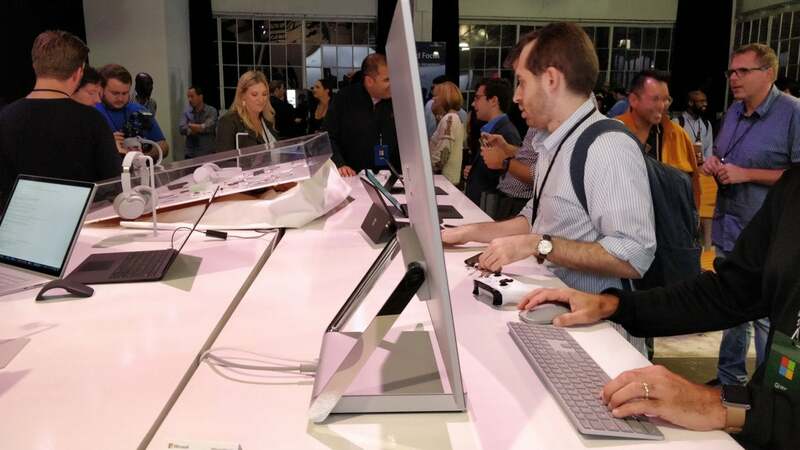 And while that messaging was necessary—the Surface Studio just demandspower, as befitting its status—it’s also a little iffy. 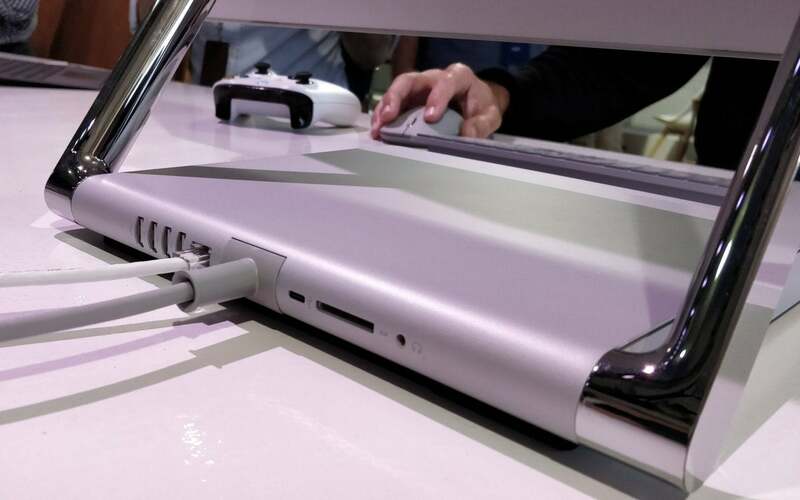 If you put the Surface Book 2 up against the Surface Studio 2, the Surface Studio one-ups it in terms of graphics, with an Nvidia GTX 1070 GPU. 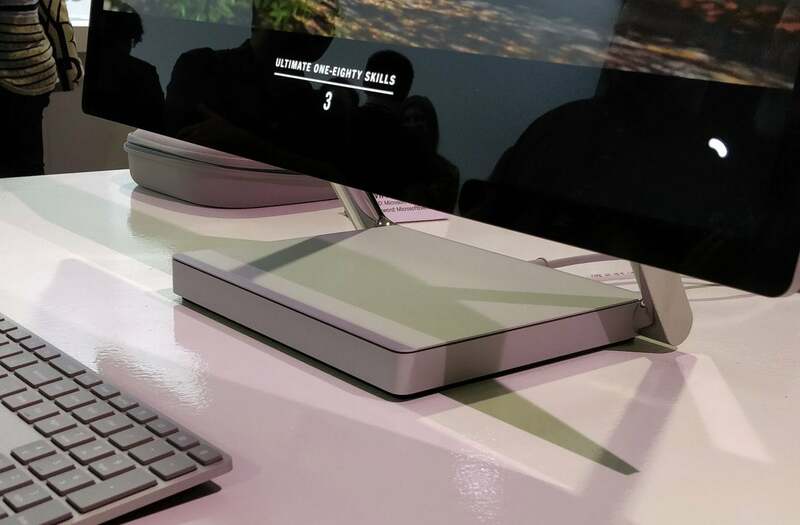 The Book 2 musters only a GTX 1060 on the 15-inch model. 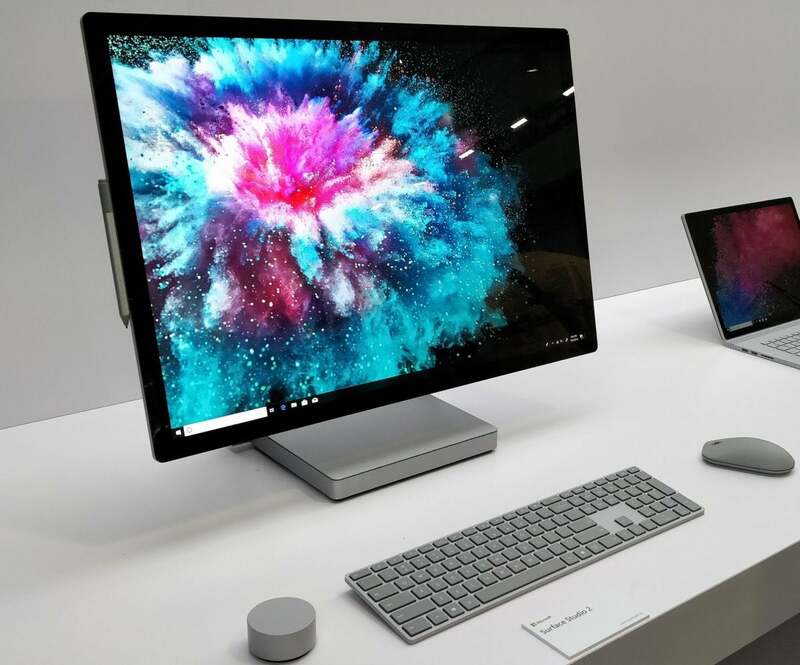 But the Surface Studio 2 still uses 7th-generation Core chips (the Core i7-7820HQ) while the Book 2 has moved on to the 8th-gen Core i7-8650U.